Britain's 'powerful Israel lobby' - Really? The program also claimed, "Despite wielding great influence among the highest realms of British politics and media, little is known about the individuals and groups which collectively are known as the pro-Israel lobby." Really? - - Do they mean us? If the "Israel Lobby" is so powerful, why does Israel get such unfavourable treatment in Britain? Is this "Israel Lobby" really the mythical Jewish Bogeyman beloved of anti-Semites down through history, used to frighten people into fear and loathing? Why did they make this programme? - - What was the intended outcome? Who are the people who made this programme and where are they coming from? Are they Marxist pro-Palestinian activists? The programme was made by a company called Hardcash and was fronted by Peter Oborne. The program's producer was Ed Harriman, who also writes for the London Review of Books and was the first to review Walt and Mearsheimer's book The Israel Lobby (see below) in March 2006. The programme was fronted by Peter Alan Oborne, who is an English journalist and political commentator. A Daily Mail columnist and author of The Rise of Political Lying, he is particularly known for acerbic commentary on the hypocrisy and apparent mendacity of contemporary politicians. He appears to have access to the Conservatives in the UK. There are no obvious signs of an anti-Israel – pro Palestinian affiliations. In July 2008, Oborne presented another Dispatches programme for Channel 4 called It Shouldn’t Happen to a Muslim. In this film, it was argued that the demonisation of Muslims has become widespread in British media and politics. Peter Oborne’s anti-climactic piece to camera at the end of the programme stated, “We haven’t found anything even faintly resembling a conspiracy, but we have found a worrying lack of transparency.” Strange, considering they appear to have no trouble finding the donations they were concerned about. In spite of this unexciting conclusion they still chose to broadcast their report in the format normally used for unmasking criminals, fraudsters and scammers. BICOM "Sadly, the program seems to have a predetermined agenda." Honest Reporting "The entire premise of the program is extremely disturbing, playing as it does on classic anti-Jewish prejudice. If a well-oiled and effective lobby existed, then I'd be out of a job and Israel's image in the UK would not be in the shocking state it is in today,"
One of the outcomes, intentionally or not, was the promotion of anti-Semitic conspiracy theories after the style of the “Protocols of the Elders of Zion” libel; inferring that Britain's parliament is under the control of a wealthy Jewish lobby. See Footnote 2. Sir Richard Dalton said: "I don't believe, and I don't think anybody else believes these contributions come with no strings attached." From 1993 to 1997, Dalton was consul-general in Jerusalem effectively becoming ambassador to the Palestinian Authority during the early years of the Middle East peace process. He was appointed Head of Personnel in the Foreign and Commonwealth Office (FCO) in 1998, and was sent as Britain's ambassador to Libya in 1999, when diplomatic relations were resumed after a 17-year break. Between 2003 and 2006, Dalton was ambassador to Iran. One can only speculate whose side he took as a result of his time in Muslim lands, but he was obviously party to the worldview of the disastrous Peace Process. Michael Mates MP said, ""The pro-Israel lobby is the most powerful political lobby. There's nothing to touch them." Mr Mates appears to have no anti-Israel affiliations, but he is clearly troubled only by an "Israel lobby" and not by the financial hold Israel's enemies have on Britain. Why an Israeli Jew would say this is an interesting matter to speculate upon, but he is clearly another who takes no account of Israel’s suffering at the hands of Hamas in Gaza. David Newman was born in London. In 1982 he was appointed as lecturer in the Tel Aviv University Department of Geography and immigrated to Israel. In 1988 he founded the Ben-Gurion University Department of Politics and Government. His political activities have focused on the Israeli peace camp, strongly arguing for territorial withdrawal and the establishment of a Palestinian State alongside Israel. David Goldberg, a Liberal Rabbi and Jewish anti-Israel activists was also used. The first target of the film was the Conservative friends of Israel. The programme also spoke of payments to MPs as if they were being bought. If this was the case, surely it would have been investigated by now as a criminal matter! The suggestion was that money from CFoI is perverting democracy in Britain to favour Israeli government policy. William Haig was singled out for withdrawing comments about Israel’s use of force as “ disproportionate.” If your friends criticize you like that you don’t need enemies. Perhaps Mr Haig accepted that his statement had been incorrect after it was explained to him. The programme made no attempt to consider the weight of coercion applied to Britain’s governments by the financial muscle of the anti-Israel, oil rich, Arab states. Arabs own so much high profile property and City institutions that the blackmail potential of withdrawal of support is sufficient to deter any government that might become too favourably inclined towards Israel. Such vast investments would surely render the CFI donations insignificant. The programme did mention a pro-Arab lobby group targeting the Conservative party, but only to say its donations were much smaller. During his premiership, Tony Blair was criticized for accepting a free holiday in Egypt but this was not mentioned. The programme appeared to be seeking to spoil David Cameron and the Conservatives' chances in the next election by painting them as being in the pay of the wicked Israeli government. Oborne charges that British policy in the Middle East is being influenced by wealthy foreigners , especially, Poju Zabludowicz, a Finnish-Jewish ex arms dealer and tycoon. He painted the billionaire Finn as some kind of man of mystery and power. But Zabludowicz is regularly in the Sunday Times Rich List, is often mentioned in the Jewish Chronicle, and was even listed as the second most powerful man in the British Jewish community in the JC’s annual round up of the great and the good. The editor of the Guardian appeared, complaining of the amount of complaints journalists receive about criticism of Israel makes it just too bothersome to cover Israel. The inference being that this powerful Israel Lobby is silencing journalism. As Honest Reporting have observed, “The complete lack of any effective pro-Israel lobby in Britain (as opposed to well organized anti-Israel groups) goes a long way to explaining why some of the coverage of Israel in the British media is among the worst in the world, and sometimes rivals the Iranian and Egyptian media for its sheer nastiness. 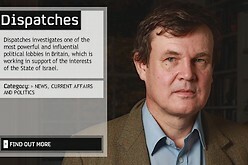 Oborne accused the "Israel Lobby" of using accusations of anti-Semitism to muzzle Israel’s critics, having rightly rejected the argument that criticism of Israel is anti-Semitism. While it is unwise to accuse those criticizing Israel of being anti-Semitic, there is certainly a connection. Anti-Semitic spawns much of the criticism of Israel and anti-Israel propaganda fuels anti-Semitism. Ex BBC Newsroom staff complained that Senior management interfered with their work when they were critical of Israel, because management were influenced by the Israel lobby. Such is only to be expected considering the left wing, liberal bias in the staff of the BBC, and most broadcasters in the UK. The newsroom staff, working away in their leftist bubble, may see management visits as interference but it is the management that has to field the criticism for bad journalism and bias and have been called to face up to their responsibilities for honesty and impartiality. The programme also complained about the criticism of Jeremy Bowen for his slanted coverage and opinion pieces. The Israel lobby was also blamed for the BBC decision not to carry the DEC aid appeal for Gaza victims of the fighting. A similar appeal for the results of the Hizbullah/Israel fighting was cited as proof of a shift towards a pro-Israel sympathy. The fact that the BBC declined to carry the campaign because of its blatantly political nature was not considered by the programme. 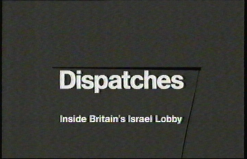 The programme criticised the financial input to lobbying for Israel totally out of context. London draws the most inward investment in the UK, and by some parameters is the biggest financial centre in the world. At 180bn [pounds sterling], London's economy accounts for around a fifth of the UK's total GDP, and is bigger than the GDP of Saudi Arabia, estimated at $169.5bn in 2001. Invest UK says Britain accounts for 40% of all Japanese, American and Asian investment into the EU. The long established trade and investment relationship between Britain and Saudi Arabia is particularly valuable to the UK. "The substantial inward investment improves the economy and creates a lot of employment opportunities for both locals and foreigners in the UK," confirms Radwan. Saudi Arabia is also an important trading and outward investment partner for Britain. According to the British Embassy in Riyadh the UK is the second largest investor in Saudi Arabia, with trade in goods and services between the two countries amounting to roughly $7.5bn in 2000. Real estate is a long term favourite for Arab investment in London. According to reports in The Times, in 2001 Saudi Arabia's Prince Waleed bin Talal bin Abdul Aziz won a bid to buy an entire square in London at a value of 335m [pounds sterling]. According to The Guardian newspaper, the Asturion Foundation is used by King Fahd to manage his worldwide property portfolio, which includes UK assets such as Kenstead Hall, a mock Tudor mansion in north London's `Billionaire's Row'--The Bishop's Avenue in Hampstead. However, the full extent of capital involved in Gulf-UK investments is obscured by a lack of transparency and unclear rules on sovereignty concerning tax exemption. Such discretion is an additional attraction for Arab investors wishing to keep a low profile. * BNET provides working professionals with the tools, advice, and insight they need to succeed in today's workplace. Perhaps the following piece that came out in the context of, Liberal Democrat leader, Nick Clegg's surprise impact on the British General Election campaign (May 2010) makes the balance of lobbying a little clearer. Although perhaps "clearer" is not the most appropriate word. Nick Clegg, Liberal Democrat leader, who is coming into the upcoming British elections in an enhanced position is close, very close, to Nadhmi Auchi. If you care about shady characters behind those who rule I suggest you indulge yourself in a crash course on Mr. Auchi. Nahmi Auchi supports Hamas, providing aid and comfort to the terror group. Auchi funds one of the most anti-Israel, anti-Semitic, websites in Britain. Lord Steel, former Liberal Democrats leader, is a director of Auchi's main company, General Mediterranean Holdings, the centre of his global empire that includes hotels, leisure, pharmaceuticals, and telecommunication firms. At the banquet, Clegg said that 'the Arab community's values sit deep in the soul of the Liberal Democrats. I feel that there is a conjunction of aspirations, hopes, and values between members of the British Arab community and many of the things that the Liberal Democrats stand for today'. Auchi is also involved in the case of a convicted Chicago fraudster, Tony Rezko, who was involved in a land deal with Barack Obama. A US court revoked Rezko's bail when prosecutors discovered that Auchi had wired Rezko $3,500,000 from a Lebanese account. In short, Nick Clegg is a puppet of Arab interests and connected with an Arab billionaire and fraudster. More recently William Wallace, importantly the Liberal Democrat foreign affairs spokesman, openly boasted in front of the Jewish Board of Deputies that he had meetings with members of the Hamas terror organisation. So- Why did they make this programme? It made a good, profitable yarn, whether justified or not. To work against the small successes of supporters of Israel, because of a disdain for Israel based upon the prevailing British understanding of the Arab/Israel conflict. Who are these people and where are they coming from? Are they Marxist pro-Palestinian activists? They appear to be merely people who accept the prevailing (Palestinian) narrative about Israel. The programme, if accepted as seems likely, delivers a pre-emptive blow to every effort by Israel’s supporters to answer the lies and misinformation heaped upon Israel. Within minutes of the programme finishing, the comments page of the C4 website carried crude anti-Jewish invective. 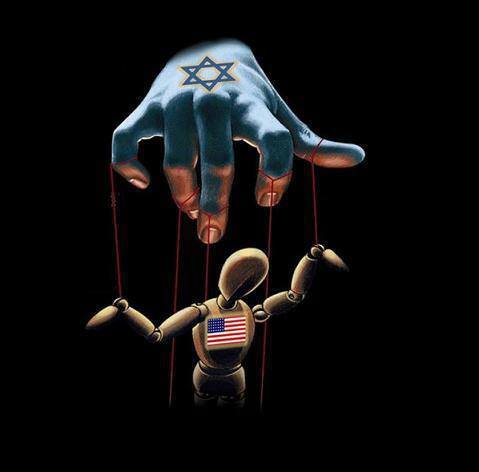 "The Israel Lobby and U.S. Foreign Policy,"